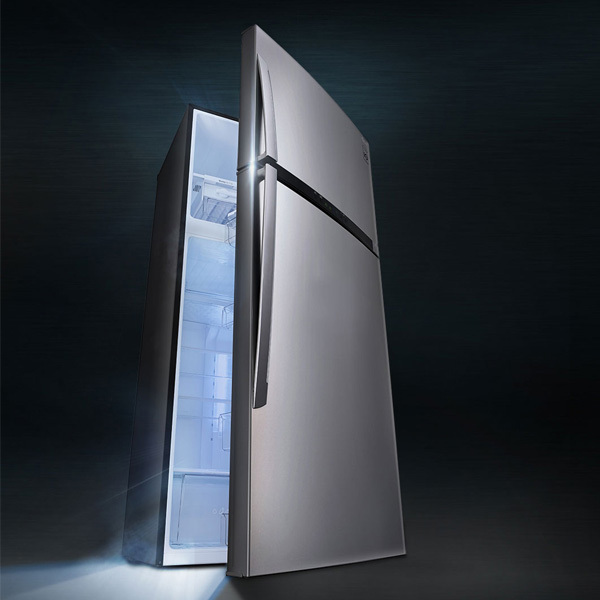 LG's Inverter Linear Compressor technology maximizes energy savings, lowers noise levels and keeps foods fresh longer. 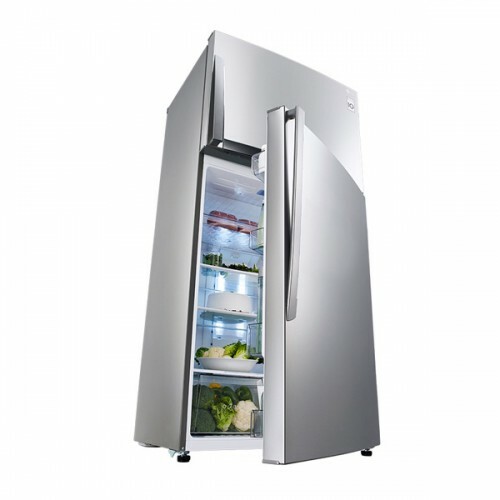 LG has replaced the conventional reciprocal drive with a piston drive, which reduces internal friction. 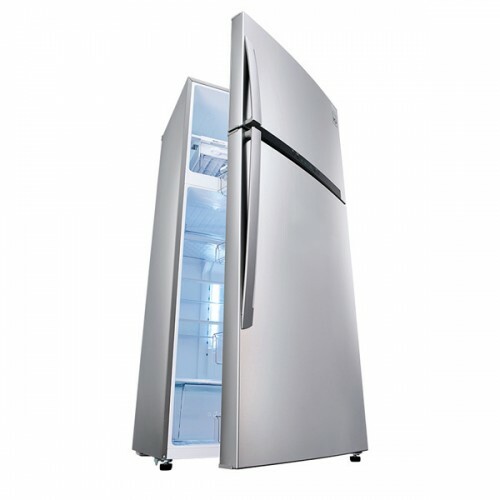 The refrigerator runs quieter, is more durable and saves big on energy. 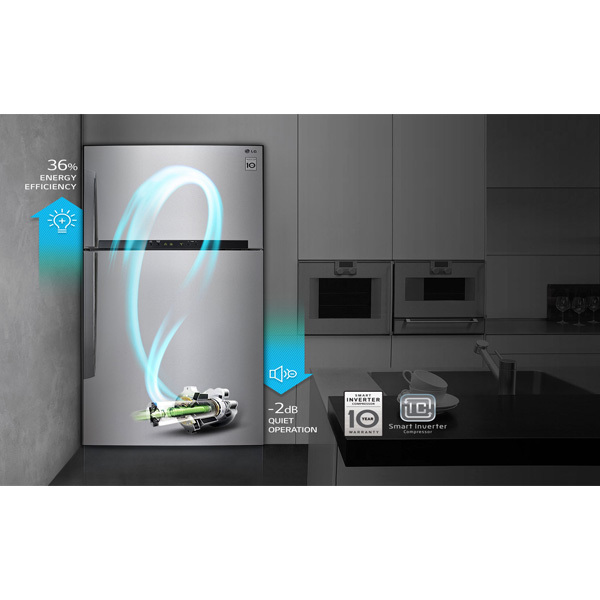 Backed by a 10-year warranty. 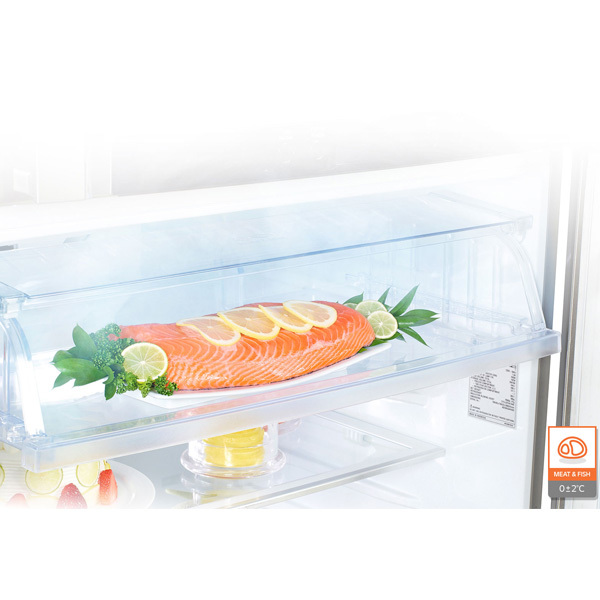 Fresh 0 Zone is controlled at temperature around 0 and it helps you start cooking without time-consuming thawing. 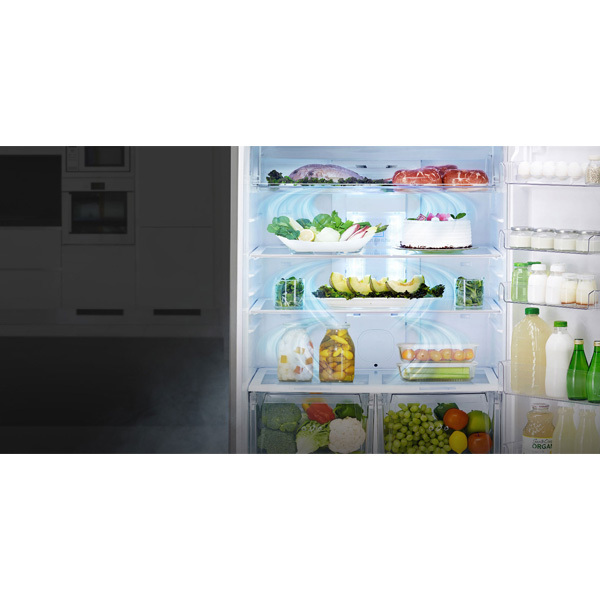 Save your time And food!LG DoorCooling makes inside temperature more even and cool 35 quicker than conventional cooling system. 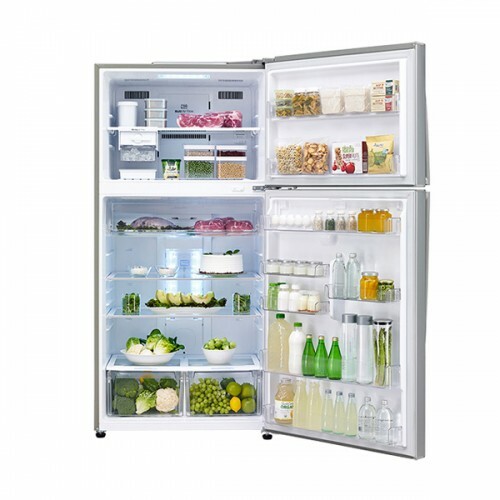 It significantly reduces the temperature gap between the inner part and the door side of the compartment. 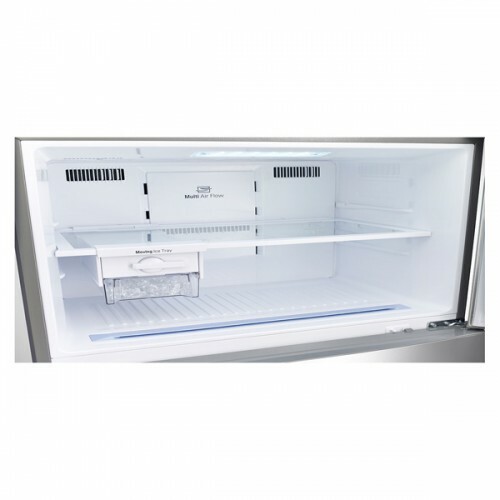 LED Lighting is more energy efficient And has longer life span than conventional bulb lighting. 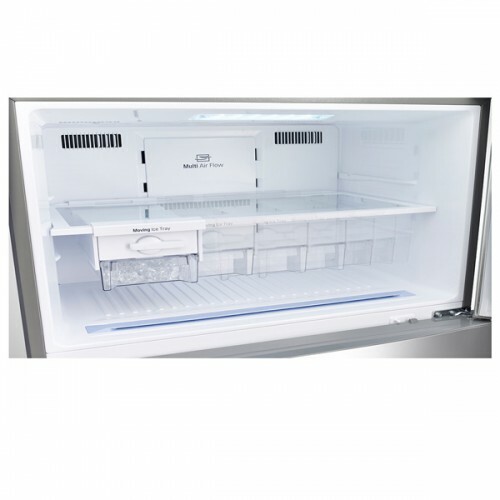 Multiple location at the top in freezer and back in fridge for better illumination even with food loaded condition. 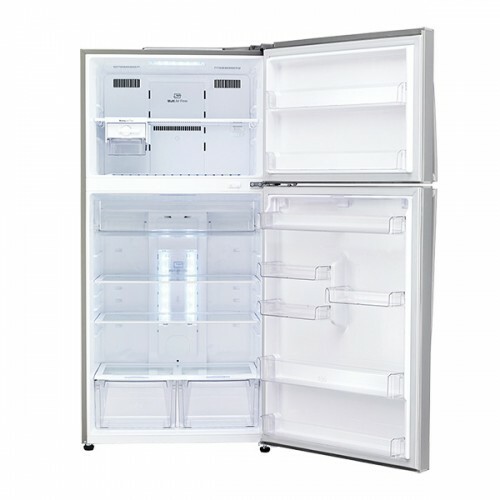 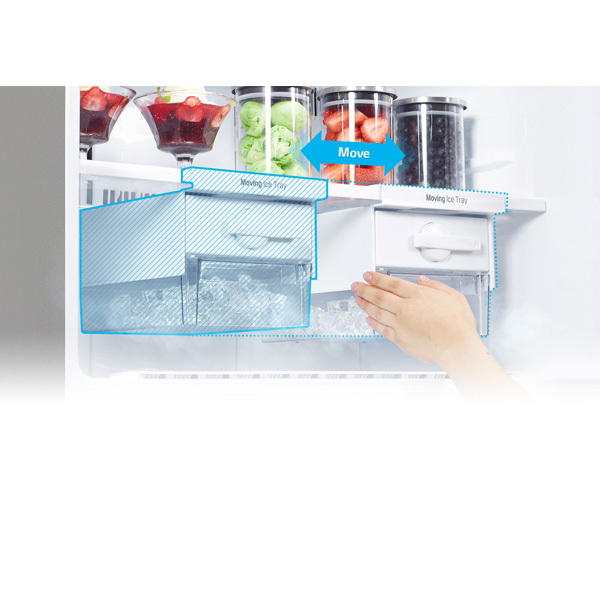 LG's new top freezer refrigerator has a detachable And moving ice maker which you can easily take out and move this ice tray whenever they need more freezer space. 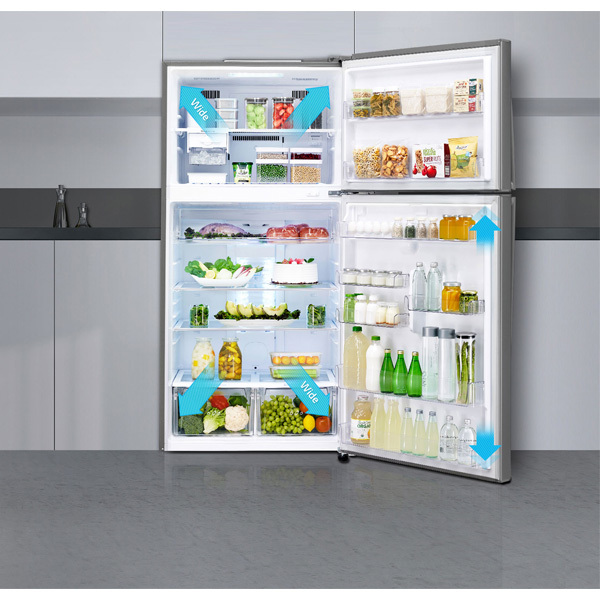 LG's Smart Diagnosis is a fast and convenient technology for troubleshooting any issues. 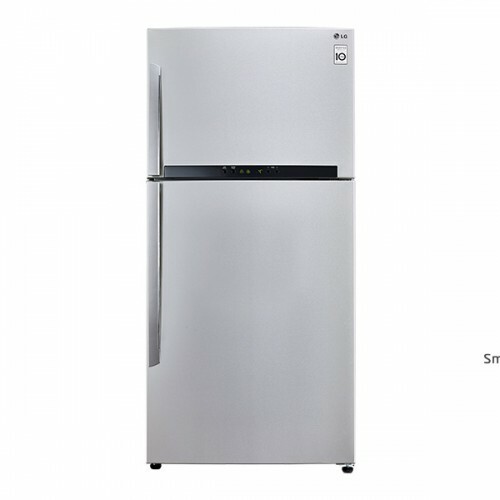 Simply call the LG Customer Service Helpline and place the smartphone on the appliance. 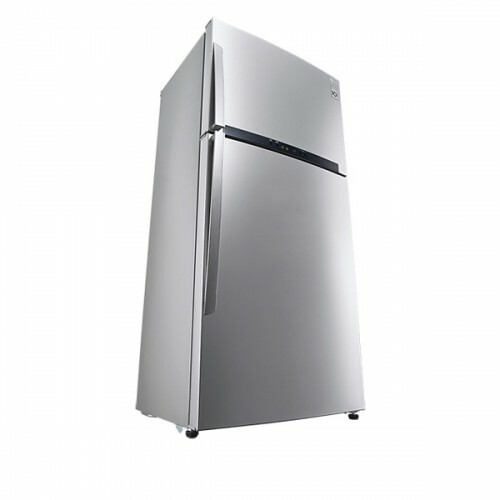 The appliance communicates with a computer that produces a diagnosis within seconds and provides an immediate solution. 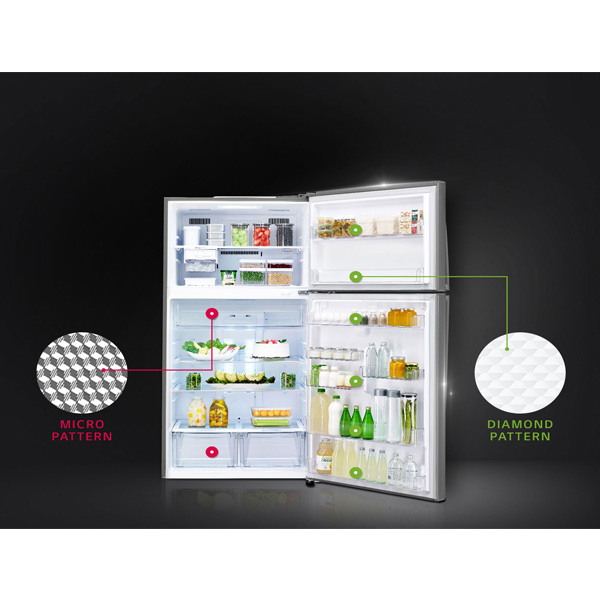 More neat And premium design has been achieved by application of Micro And Diamond pattern on inner compartment.